What is the one thing a welder can never have too many of? If I were to count all my welding clamps including C clamps, Vise grip Tongs, pipe clamps, and Pony clamps, I easily own over 50 of them…and you know what? I wouldn’t mind having a few more. Welding clamps and welding magnets can speed up fabrication or at least make it more fun. 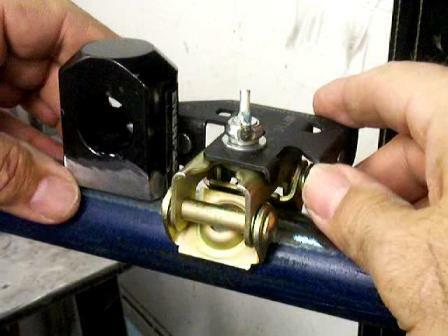 This page is about a small tool made by StrongHand Tools called the “MagTab” welding magnet. I talked about how StrongHand Tools makes all kinds of clamping devices as well as tables, toggle clamps, welding magnets, and many other innovative ways of holding metal for fabricating and welding. I have to say, I really like the stuff from SrongHand Tools. Why? Because they market to the average Joe Welder/Fabricator who needs quality tools that are not cost prohibitive. Good stuff that works …what more could you want? And I thought ..."no welder I know is going to pay that much for a little clamp". What is a MagTab Welding Magnet? So just What is a MagTab? The Magtab is a small welding magnet clamp that holds small tabs in place for tacking and welding. Let me state the obvious here before I forget...Magnets only work on stuff that is magnetic...like carbon steel. It wont work very well on aluminum or stainless unless you are pretty innovative. 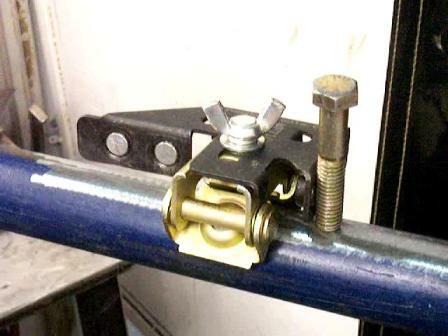 Everyone knows how welding clamps help to align pieces for tack welding but sometimes clamps take too much time to use…especially for small tabs that don’t require much force to hold in place. So what most of us welders wind up doing is holding the tab with one hand and tacking with the other. And even that works ok sometimes. But when you have a little gap, it doesn’t work very well. It reminds me of a 4130 tubing airplane fuselage I tig welded a while back that had a whole bunch of tabs on it.This little booger would have really come in handy for that job. The MagTab welding clamp magnet holds small tabs in place easily. The swivel feet automatically align themselves with the shape you are welding …whether its pipe, square tubing, or flat bar… and the magnets are strong enough to hold stuff in place without any trouble. I even tried holding a huge ball bearing that weighed about a pound…. The one thing that impressed me was that it was fast and easy to use. I really like stuff that is simple and easy. Usually when something is better, it is not faster…..and if its faster, it’s not better. Have you ever heard this saying on a shop sign?… ”We do 3 types of work…good, fast, and cheap. Pick any 2.
and if it’s good and cheap, it won’t be fast. When a tool comes along that makes things faster AND better, that is surely a good thing. Especially if it only costs about 10 bucks. So I am going to have to give 2 thumbs up on the MagTab by Stronghand Tools. I plan on using mine for years to come.